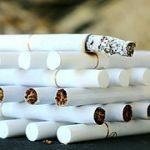 At Kent hypnotherapy we understand Stopping Smoking can be one of the hardest challenges any individual can undertake. At least you think it is! We want to provide our clients a new way of thinking about smoking, we provide information that will make you think a completely different way about smoking. In Kent alone thousands of people attempt to quit every week. New Scientist Magazine has now proven Hypnosis is the most effective to quit smoking. With a proven track record and succesful cases, Kent Hypnotherapy has helped people to quit and change the way they think about this deadly habit for ever. We do this with a blend of therapies to help you stop. Think about quitting all the time? Attempted to stop smoking multiple times? Give in to Peer Pressure when around other smokers? Feel you lack the Willpower to quit for good? Have cravings you feel you can’t control? Feel the Habits of Smoking are part of your daily life? Always go back to smoking when having a drink? Have Children and now want to stop for them? Call us on 01634 713 054 for bookings, alternatively use the Contact us form here or below. The course consists of 2 sessions 1 hour long (the first session can take up to 1 and a half hours at no extra cost), follow up support also available.